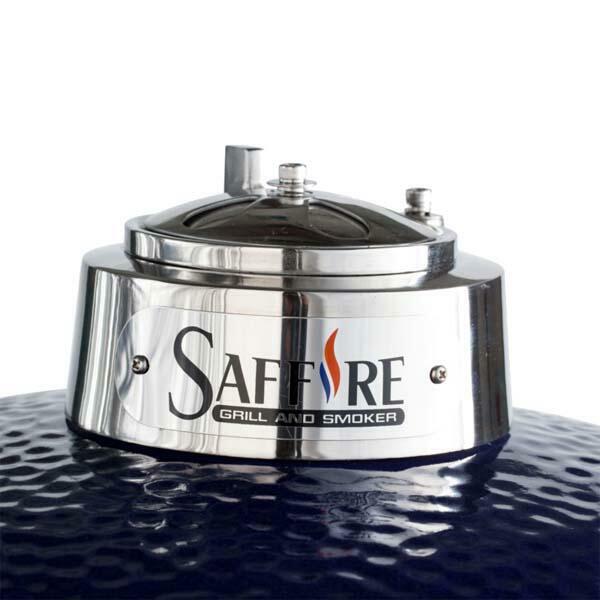 Saffire Large 19" Platinum Grill Head by Saffire Grill Co. 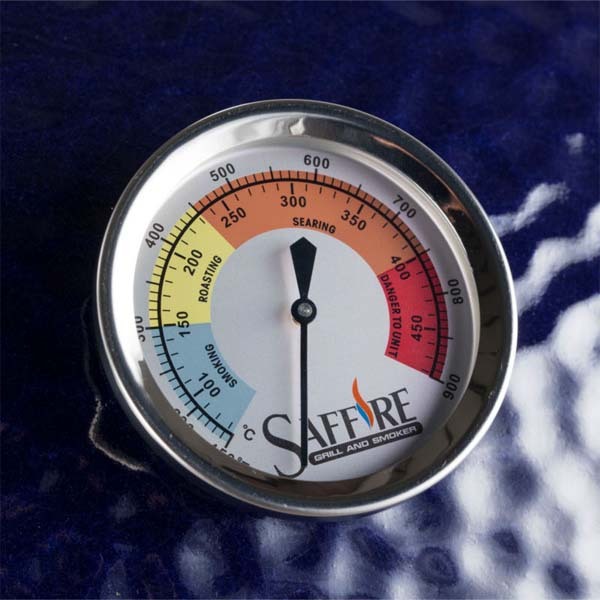 There are no smoke and mirrors with the Saffire Large 19" Platinum Grill Head; this well-equipped grill offers a pile of premium features and accessories. 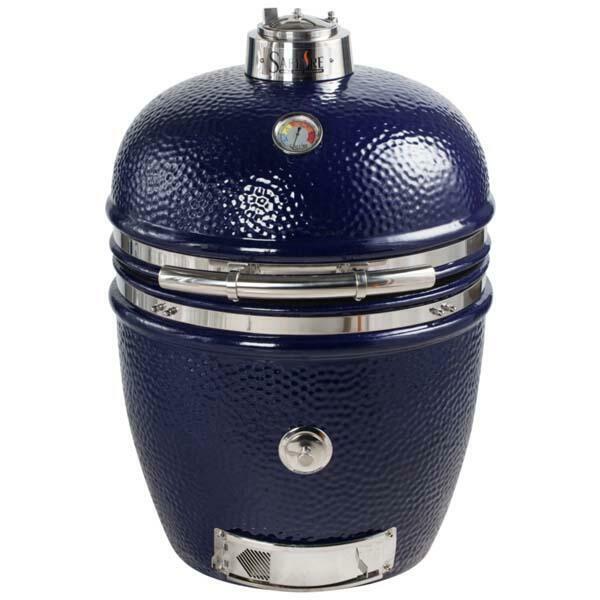 Built to last, this large smoker features extra thick ceramic construction, 304 stainless steel hardware and a patent pending Crucible Firebox. 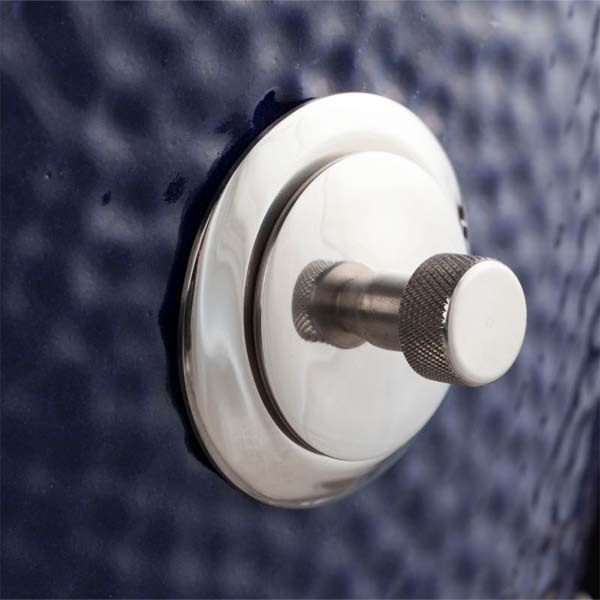 The Crucible Firebox prevents structural failure, provides extra ash capacity, offers quick ash removal, and gives you an easier and faster start. And on top of that, it comes with all the accessories you need for master grilling, including the multi-level cooking rack, two piece ceramic heat deflector, secondary cooking grid, ash cleaning tool and Saffire's patent pending Smokin' Chip Feeder. 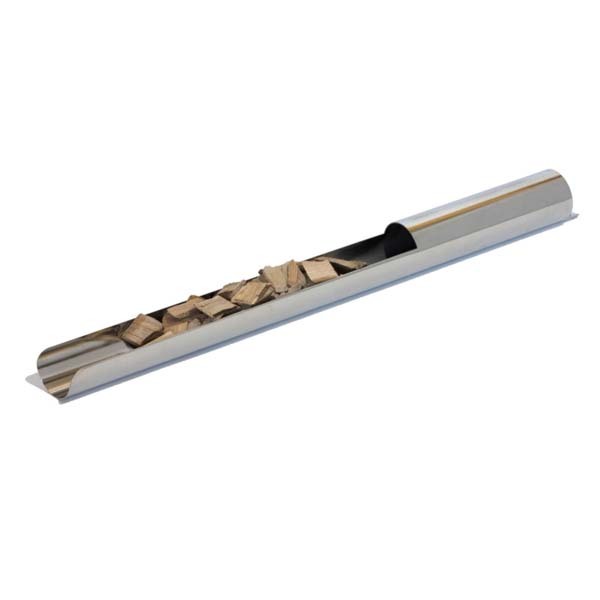 This resourceful device lets you easily add wood chips any time during the cooking process. And let's not forget the heat preserving Stainless Steel Efficiency Plate and Stainless Steel Cooking Grid that provides hinged access to the fire. 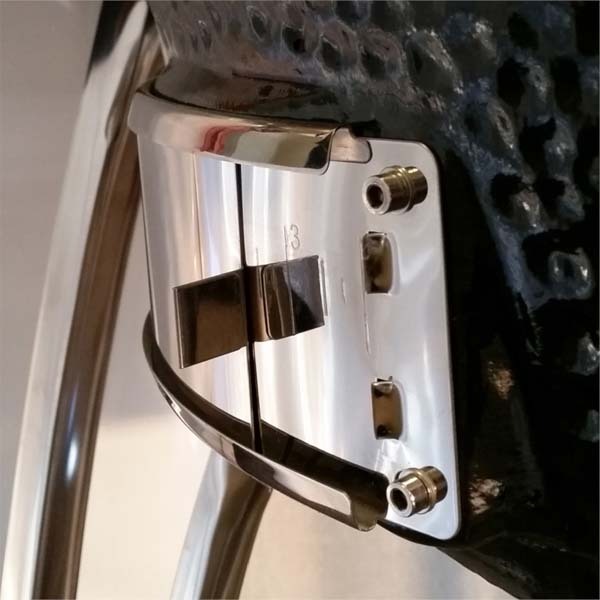 Available in a striking cobalt blue or classic black, and comes with a lifetime warranty on the 304 hardware and ceramics!! Dimensions L27" x W27" x H34"